A slew of announcements, including minimum support price for farmers, easily accessible markets, disposal of crop residue, development reforms were made in the speech. The first hour of Arun Jaitley's Budget speech in the parliament today was mostly about famers, rural livelihood and social security. A slew of announcements, including minimum support price for farmers, easily accessible markets, disposal of crop residue, development reforms were made in the speech. With respect to farmers, the Union Budget 2018 has put emphasis on staying true to government's promise of doubling farmers' income. To this end, Jaitley kept minimum support price or MSP of kharif crops at one and a half times the production cost of the crops. Minimum Support Price is the price at which government purchases crops from farmers. "We consider agriculture as an enterprise and want to help farmers produce more from the same land parcel at lesser cost and simultaneously realize higher prices for their produce. Our empahsis is also on generating productive and gainful on-farm and non-farm employment for farmers and the landless families," Jaitley said. Arun Jaitley announced that the minimum support price for all the unannounced Kharif crops will be kept at least 150 per cent of their production cost. As of now, most of the rabi crops get one and a half times their production cost as MSP. The remaining rabi crops will also be brought under the aegis of this decision. If the market prices are lower than the prescribed prices, then either government will have to buy the crops from farmers on MSP or ensure a mechanism where farmers are paid their due, Jaitley said during his fifth Union Budget speech. "NITI Ayog in consultation with Central and State Governments will put in place a fool proof mechanism so that farmers will get adequate price for their produce," he added. Jaitley announced a total of 22,000 rural haats will be upgraded for the benefit of small farmers. These will be turned into Gramin Agricultural Markets (GrAMs) where farmers can sell their produce directly to consumer and bulk purchasers. The government also plans to strengthen physical infrastructure at these local agri markets through MGNREGA and other government schemes. Employing technology to help farmers, the e-NAM network will be strengthened and expanded to all Agricultural Produce Market Committee (APMCs) by March 2018. e-NAM is an electronic trading portal for farmers, connected to all state market committees. An Agri-Market Infrastructure Fund of Rs 2000 crore will be set up for developing these 22,000 GrAMs and 585 APMCs. "Government will create an institutional mechanism with participation of all concerned ministries to develop appropriate policies, practises for price and demand forecast, use of future and options market, expansion of warehouse depository system and to take decisions about specific exports and import related measures," Jaitley said. 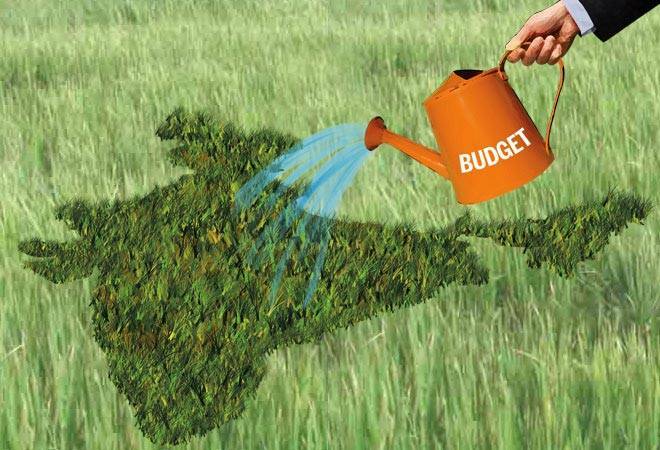 In the Union Budget 2018, provisions have been made to expand the reach of all-weather road networks to connect rural habitations with agricultural and rural markets. The third phase of Pradhan Mantri Gram Sadak Yojana will provide these linkages, Jaitley said in his speech, along with road connectivity to hospitals and schools. The cluster-based model of development seen in industrial sector will now be implemented in agricultural sector too, Jaitley said in his Budget speech. The Ministry of Agriculture and Farmer Welfare will reorient the ongoing scheme to make way for the cluster-based development in agricultural sector. As per provisions of Union Budget 2018, government will encourage organic farming by Farmer Producer Organizations (FPOs) and Village Producers Organizations (VPOs) in large clusters, preferably of 1000 hectares each. Women Self Help Groups (SHGs) will also be encouraged to take up organic agriculture in clusters under National Rural Livelihood Programme. Also, a sum of Rs 200 crore have been allocated to support organized cultivation of highly specialized medicinal and aromatic plants and aid small and cottage industries that manufacture perfumes, essential oils and other associated products. In the Union Budget 2018, Arun Jaitley alloted Rs 500 crore under Operation Greens to address price volatility of perishable commodities like potatoes, tomatoes and onions. Operation Greens will promote Farmer Producers Organizations (FPOs), agri-logistics, processing facilities and professional management in the sector. Burning farm residue in states around Delhi-NCR had turned the national capital into a smoke box a few months ago, and this issue found a place in Union Budget 2018. The Finance Ministry said that a special scheme will be implemented to support the efforts of the governments of Haryana, Punjab, Uttar Pradesh and the NCT of Delhi to address air pollution and to subsidize machinery required for disposal of crop residue. Budget 2018: What's on Arun Jaitley's agenda today?